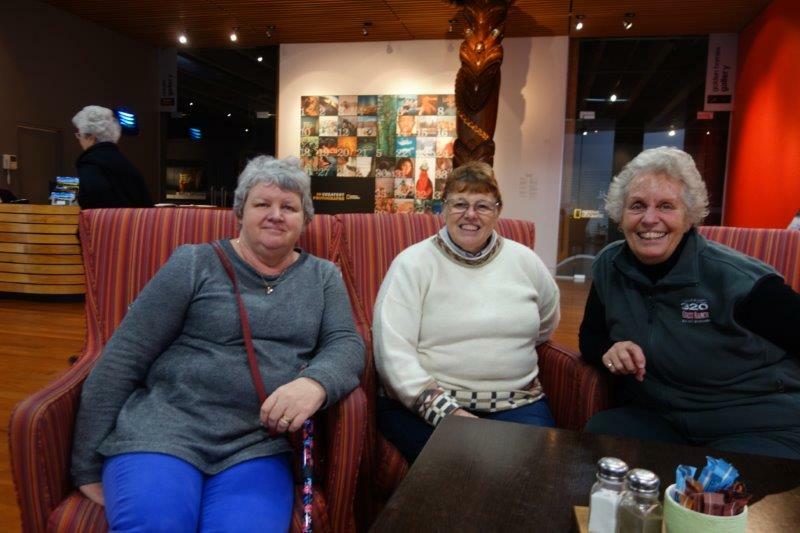 On Tuesday 7 July, we three friends from Plimmerton Rotary decided to go on an outing. Friendship is one of the highest values of Rotarians. Although we meet frequently at Rotary meetings and get involved with activities and projects, having the opportunity to spend time together outside of this is always welcome. We visited the Exhibition showing the 50 Greatest Photographs of National Geographic at the Expressions Arts & Entertainment Centre at 86 Fergusson Drive, Upper Hutt. It was a miserable day, cold and wet, but what awaited us did much to warm our hearts and challenge our perspectives. Each photograph was different, and sensational in its own way, but there was one that completely stopped me in my tracks. It was Number 26. The photographer, Bill Allard, writes the story behind this photograph. ‘His name was Eduardo Ramos and he was nine. 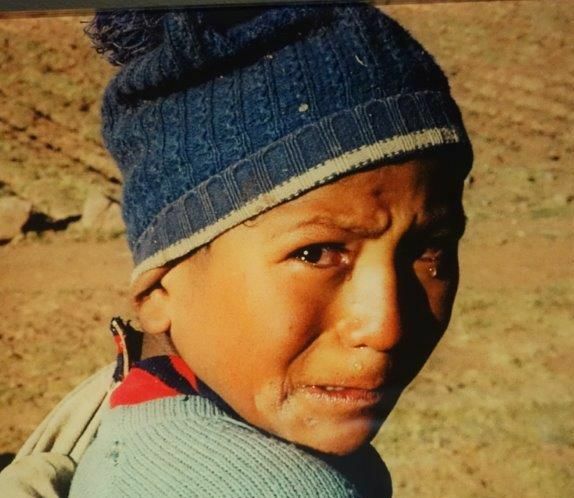 A Peruvian taxi had carelessly driven though the family’s band of a dozen sheep in the Altiplano near Puno as he was taking them home to his village. Half were killed and lay broken like discarded stuffed animals. Eduardo was shattered. What could he tell his family? I made a few pictures and left with my assistant. I don’t think we gave him anything. I wished we’d had some fruit or food, but we didn’t. ‘Later I told the magazine’s editors we needed to run the picture because it spoke clearly about how difficult life can be in Peru. National Geographic readers responded with great generosity – unsolicited – eventually donating almost $7,000. The Society contacted the humanitarian organisation, CARE, which in turn located the village. 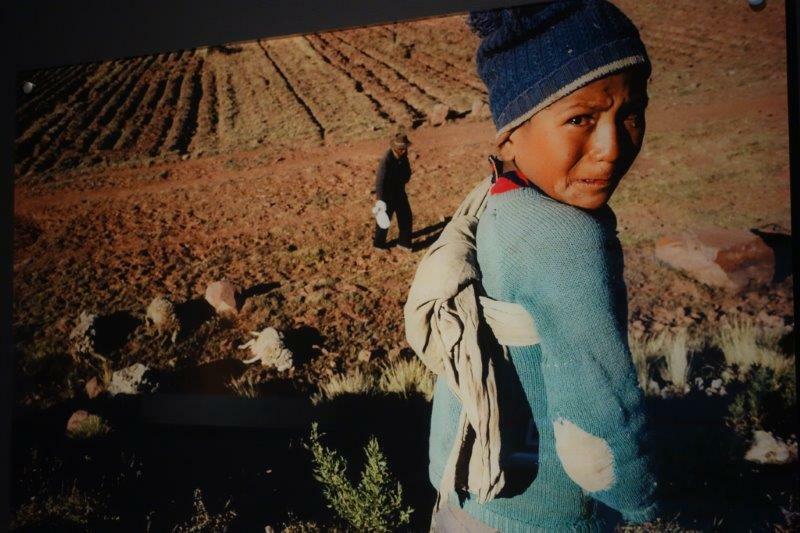 The sheep were replaced, a water pump for the village was installed, and the remaining amount went into a fund for Peruvian schoolchildren. ‘To Eduardo and his family, the readers’ response must have seemed unbelievable, like something from out of the sky. The response was also a gift to me, because it lifted that heavy stone of guilt for having taken but not really given in return’. If you have the chance to visit this exhibition, we recommend that you ‘get your skates on’. It runs from 9.00 am to 4.00 pm daily, before it closes on 26 July. Original generation time 1.5206 seconds. Cache Loaded in: 0.0612 seconds.